If you decided to surprise your guests with a wedding decorated in Black and White, congratulations, you have options to decorate the room or where you made your big event, are many, and this time we bring you some tips that you will enjoy. 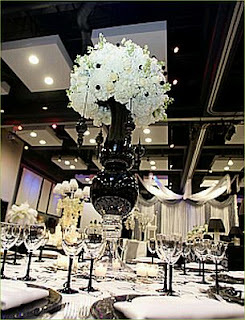 Proposal for table decoration with a white cloth and a black top, matching it with the centerpieces white and black letters. 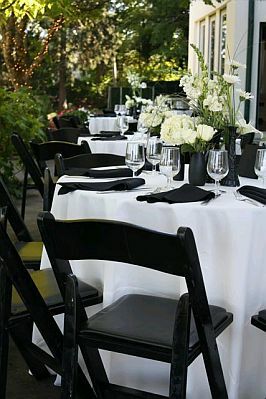 Beauty proposal for a daytime wedding or outdoor, chairs are without clothing, black and tables covered with white tablecloths and black napkins, the perfect combination. 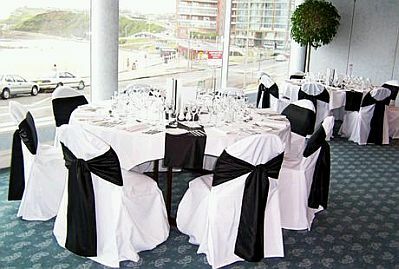 The decoration of a wedding hall, white and black, always looks good, as seen in this image, we have chairs dressed in white with black bows on the back and white tablecloths and black tablecloths. Another beautiful proposal to combine centerpieces black and white sheets of cloth as a backdrop and ceiling favors from every point of view, the decoration of the environment. 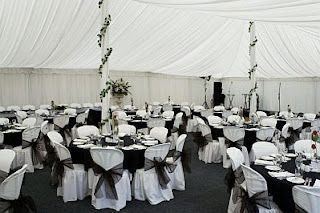 If you plan your event within canopies, the result is also very good, as seen in the picture, it's ceilings, walls and white chairs, while ties and tablecloths are black. 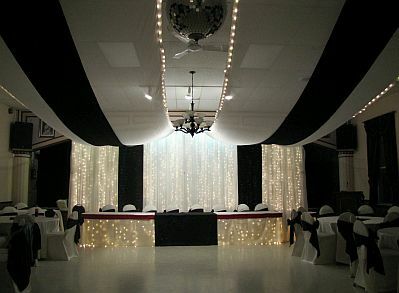 Interesting proposal that not only cloth pads combine white and black, but also a series of bright lights. 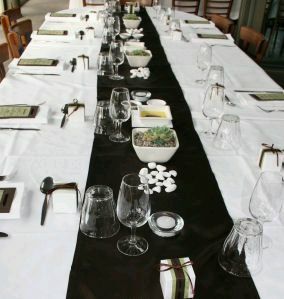 If you bet on white tablecloths with black color applications, this option is right for you. 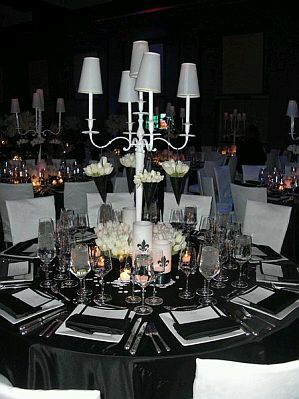 Interesting decor and layout of the tables and chairs in the room of this holiday, it is white linen tablecloths with black color. 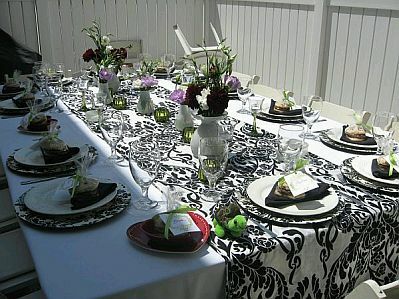 Precious proposal are colored tablecloths black and amid a great white centerpiece . 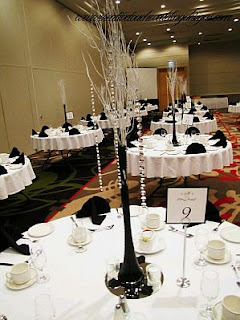 Finally another setting decorated with white tablecloths and black napkins, matching that gives recipients a very good result.